As a newly-qualified instructor, one of the biggest choices you will make will be whether to set up as an independent instructor or take one of the many franchise options available to you. There are pros and cons to each decision, and every individual instructor has to decide which will be the best fit for them. Starting up any new business can be a real challenge. The primary source of work for an ADI is through recommendation. It takes time to build a reputation, so it’s important to market your business effectively. This may mean building a website, becoming Facebook savvy and spending a lot of time and money in promoting yourself and your new driving school. If earnings aren’t top of your priority list, or a full-time income is not necessary, then the organic growth of a new business may mean that the independent route is the favourable choice. However, if you need to be earning and need a full diary in the shortest time possible, then taking a franchise with a well-established driving school may be the better option. Working 30 hours a week and paying a franchise will bring in more income than working 5-6 hours as an independent instructor! If you decide to take the franchise option, your next decision is which company to choose. It’s essential that you do your homework and choose wisely. As well as the big national companies, there are lots of local multi-car driving schools to choose from. It’s important that you choose a driving school that can deliver what you want. Top of the list is normally pupils – without them you can’t earn, so you need to be confident that the franchisor can supply the work. A good company presence on Google and positive customer reviews will help attract customers, so a good place to start your research is on the internet. Searching for ‘driving lessons in [your town/city]’ will show you the top listing driving schools in your locality. We would normally recommend only considering the sites with a ‘natural listing’ on page one at first. The ones in the shaded area at the top of the page are paid listings. The natural listings are beneath that. Does it have lots of passed pupil photographs and/or reviews? Is it easy to navigate for the customer? Not all schools will say ‘yes’, so it’s a good question to start with before going any further. Do they cover the area you live in, or the area you are happy to work in? You want to find out how many other instructors from that school work in your home town – it may be that you will be asked to cover a different area if there are already a few in the area you live. If they have lots of instructors but they haven’t got full diaries, then they may have more instructors than they can supply work to. The driving school might not be forthcoming with this information, but you could ask if you could speak to one of the instructors that work for them that live local to you. Trust your instinct here. If they promise lots of work straight away, be wary. A realistic estimate is normally 4-8 weeks. You can also ask if you get any franchise free weeks for when you take a holiday. Many schools start with a reduced franchise and then build up as they provide you with more and more work. It would be difficult to pay a full franchise from the start with little work. Some schools charge a lower franchise but then charge per pupil. A lot of schools charge this for a bit of security – they don’t want to waste resources filling up your diary with new pupils, only for you to take off with them all. A deposit will sometimes also cover the cost of the headboard, signwriting, induction training days, etc. You’re looking for a confident, “That’s never been a problem”, and/or a reasonable, “If we can’t provide you with the work, we will reduce your franchise, or you are free to exit your contract”. You will most likely be expected to sign a contract. If you did want to exit the contract, you need to know how much notice you need to give. Some contracts have very little notice periods, a few weeks or months, whilst some are for considerably longer, 12, 24 or even 36 months! We would advise against signing anything longer than 12 months, and then only when you have done your research and you are happy that you will be provided with enough work. Remember that even if you do sign a contract, it has to be mutually beneficial. If they don’t provide you with a reasonable amount of work, then it’s quite possible that the school may be in breach of contract. You need to be able to work out what income you will have from the hours you want to do. Remember that pupils cancel lessons and it’s not always possible or appropriate to charge for cancellations, so it’s a good idea to factor in a 10% cancellation rate. Some weeks you will have no cancellations at all and other weeks you may have lots, especially in the winter when it snows, or pupils are ill/skint/hung-over! This will help you work out your income taking into account how many new pupils on the offer you will be taking on a weekly/monthly basis. Realistically, the bigger the area you cover, the more work you will get. However, you don’t want to be travelling miles in between lessons (losing time and fuel!). You will know what you will be comfortable with and as you get busier. As you gain in experience, you should have the opportunity to narrow your coverage area. Extra training may be provided, which may be useful for Check Tests and improving your skills as an ADI. If you decide to go with one of the large national schools, the downloadable comparison chart below shows the potential weekly earnings after franchise costs only. It also shows what each school offers as part of the franchise package. GIVE US YOUR FEEDBACK! 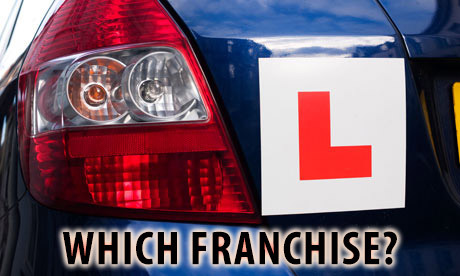 Do you currently work on a franchise or have you done so in the past? What are your experiences? What did the franchisor do well for you and what could they have improved on? What extra questions would you suggest a prospective franchisee should ask? Finally, if you liked this ADI Franchise article and information about what to ask the Big 6 UK Driving Schools and know someone else that could benefit from it, please hit one of the social sharing buttons below! I don’t know if you saw my video 2 weeks ago, but I mystery shopped the big 6 and had appalling results. They had no idea how to deal with an enquiry or speak to a customer. 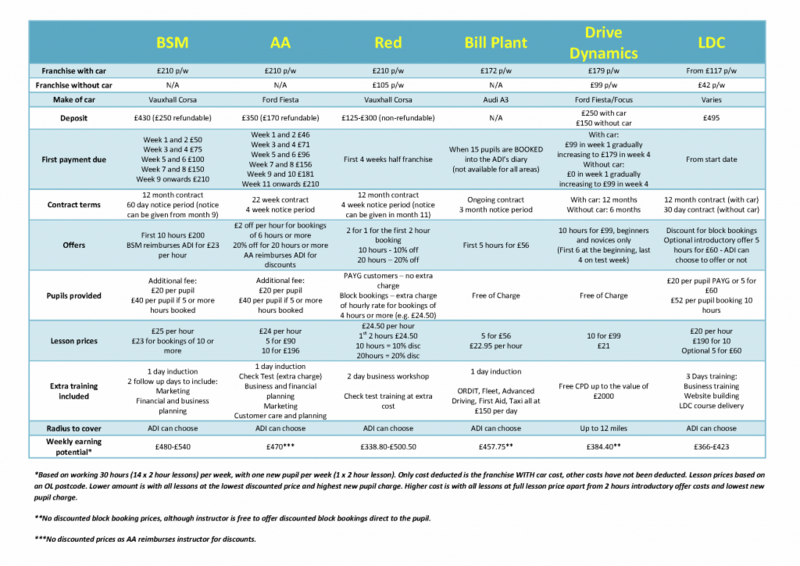 Nice article, just a couple of pointers for the table, im a BP franchisee, the rate is £192 for the A3 or slightly more for the option of a Q3. Also their is only a £100 administration charge for the cost of the whole course, not per day, the only loss is days out of diary plus B&B etc. I Have been with them for 4 years and am perfectly happy, although like anything else they have had their share of problems but overall a thumbs up from me!!! Thanks for the info Jamie. The price is what Ashley Plant told me on the phone, I was under the impression that the franchise and lesson prices were area specific so maybe that may be the reason for the difference? He was really helpful and a couple of our ex trainees have gone to BP and been happy. I have been with Red for about 18 months, and on the whole they have been pretty good, there are a few tweaks needed but on the whole no major issues. What I have noticed is that the ADI’s moaning, do not really get the the franchise idea and seem to really solely on the company for pupils, as there are probably other adis in your area, and they do not do little or no self promotion themselves. My advice is take the questions from this article, plus more if you can think of any, then use all the appropriate media you can to promote your self, Facebook is one of the best in my opinion . A website too can help, if you can’t do that, ask David above. Above all pick the one that is right for you, go in with all the questions needed, and when you start do not rely on them to fill your diary, remember they will feed you pupils, but usually on an allocation system. Another good tip is too spread out a bit, I cover a 20 mile radius from my house, and 3 test center’s, mainly due to my location, but also, the competition is high. I’ve franchised for LDC for 8 years and I’m happy as they have a low fee . This is the fairest in my opinion as most of my work is now recommendations so I don’t pay a hefty franchise fee . I don’t need the company to provide me with many pupils, I just pay extra for what I get. The table says £20 per hour but this varies depending on where you live. I’m in Milton Keynes and the rate here is £24 so the potential earning is higher. In my opinion Instructors do not understand what a franchise is. It is used by instructors who think as long as they are on a franchise they don’t have to self promote or give a great service! If done well you can build yourself a good business using a franchise as a tool before then going it alone with enough of a pupil base to continue with. It should take around two to three years. Taking out the car costs you pay most franchises around £5000.00 per annum. That’s ten – fifteen thousand pounds over two – three years. Not a bad price to pay for a business of your own and support for the first few years. Not only that but paid on the drip for work already supplied! Hi Matt, I agree 100% with you. I am very fortunate to have a fab team of 20 instructors working for my school and they give their all on lessons and get lots of personal recommendations. The less they rely on us for work, the less the franchise they pay, it’s only fair! I trained with LDC, and then joined their franchise when I qualified. I felt that their training was good and would recommend them. Their franchise however never lived up to their promises. Firstly, there was no interaction from a local Business Manager to help me get my business off the ground as they stated at the time. Having just become self employed at the start of the worst recession ever, this didn’t help me! There was also the issue that they would help to fill my diary. Oh yes, I remember, I had been with them 3 months before I ot my first one from them. He lived nearly 20 miles away…..
Fortunately I had some marketing experience from a previous role, and had managed to fill my own diary by this time. They don’t force the 5 lessons for £60 offer onto ADIs, but do try to convince you it’s the only way to ‘get bums on seats’. While I was on my induction, I sent some time in the office where the calls were coming in from prospective customers. It was quite clear that they oly wanted to ouch intensive courses, and appeared not to ask questions that I consider are highly relavent to anyone involved in an intensive course (e.g: do you have any learning difficulties or special needs?). They were incentivised as part of their renumeration, and the best commission was on selling intensive courses. Eventually I went on my own, and that was the best thing I could have done. Working 30 hours and delivering 30 hours of lessons are not the same thing! Add on travelling time to/from lessons, admin, answering texts from pupils who want to reschedule, washing the car, doing the books, marketing, facebook, website, etc. delivering 30 hours lessons is at least 45 hours work. Very interesting artical , indeed along with all the comments. i thank you all, i will be joining you all soon with a pass at part 3. I did a lot of research before training and was totally underwhelmed by most. I eventually chose LDC and have stayed with them ever since. I became ORDIT registered (training provided by LDC) three years ago and now do quite a lot of PDI training in Devon for the company. I have always gone out and got my own customers and never expected to rely on the company to provide these- I knew from the start this would not happen so there was no surprise/disappointment when not many came in. If I had to start again would I go somewhere else ? No ! My Husband had a franchise with Bill Plant last year and the “sales man” that came round made promises of all sorts of things that “Bill Plant” were going to give him, which of course once he joined he then found out were all lies, even if they supply you with 15 names of pupils and of course only 10 actually book you still got 15 so you will pay. His franchise was costing him loads more than he was actually earning. I used to be on a RED franchise and had various problems with them, I had a space for 2 or 3 months without a new pupils despite me calling up asking what is happening, it got to the stage where I put through a complaint and was contacted by a guy who seemed to want to help saying that he would ‘open the flood gates’ to get me more pupils, however after this did not happen and he did not call back I again had to re-contact RED and after about a month of putting in the compliant I got 4 or 5 pupils, but then got very few after that! All these large franchises don’t seem to give a stuff about their instructors or the companies reputation, they just want your money! Hey I’ve just passed my part 3 and wanted to go independent but insurance is rather expensive as I am under 25. so was wondering is there any you could recommend? Hi Yahiya – many congratulations on passing your Part 3 test! Hi Ged & Claire, I am looking to start training to become a driving instructor who would you recommend? I was thinking of AA but i would like to hear what you guys think please?? I did the same back in 2003 with LDC and I still by their products from them. I stayed for 5 years and looking at the weekly fee without car is still very good value. My charge was £108/ month back then. It depends on what you need them for. 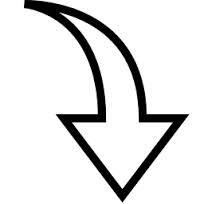 Lots of good ADI’s started up with LDC and have moved on. Hi Marcus, I am really looking in to becoming a driving instructor, and trying to gather as much information as possible. Do I read you correctly when you say RED supply so many pupils and you can advertise yourself and get additional pupils yourself on a franchise. Sorry if that sound silly I’m currently a nurse in working in the NHS, and this is all new to me. Thanks in advance for your help regarding the latter. Hi, I’m also a nurse jumping ship after 20 years. Working on the basis that money doesn’t buy happiness, self-employment seems to be the way to go!